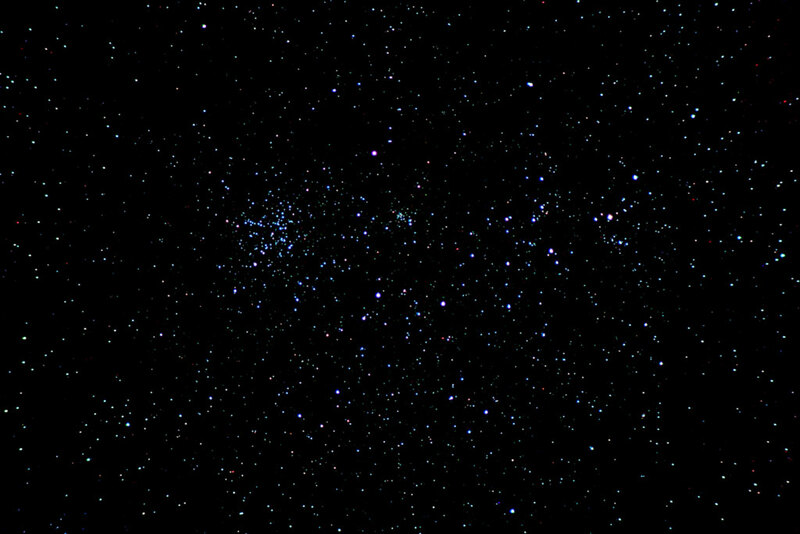 This image of M38 was captured by Chris Newsome on the 21st October 2006. Chris used a Skywatcher 80T telescope, a Canon EOS300D camera, an Astronomik CLS filter, and a Celestron ASGT mount to take the image. This setup was guided by a Meade DSI camera through an Orion ED80Pro telescope using a GOUSB Interface and MaximDL software. Five 180 second exposures at 200 ASA were combined in MaximDL and processed in Photoshop CS2 (using RGB Levels, Curves, HighPass & Overlay, and a Gaussian blur).